The start to this year has been full on with lots of things happening… and my blog has been a bit of a casualty, so I’m hoping to change that this weekend. Apologies in advance to those of you who receive email updates from me! I may have mentioned that I’m going on a little cycling trip later this year – a couple of weeks of cycling across Japan. I’m so excited about it! It was my intention to refurbish my dad’s old road bike, but I’ve bene really busy recently and haven’t had the time to do that. I could have paid someone to do it, but I’m not sure that it’ll fit and I’d like to learn more about bike maintenance, so I think it’ll do me good to do it myself. Anyway, this has meant that I needed to sort out a new bike. A touring bike would be the ideal option, but I’ve not had a lot of luck finding something. 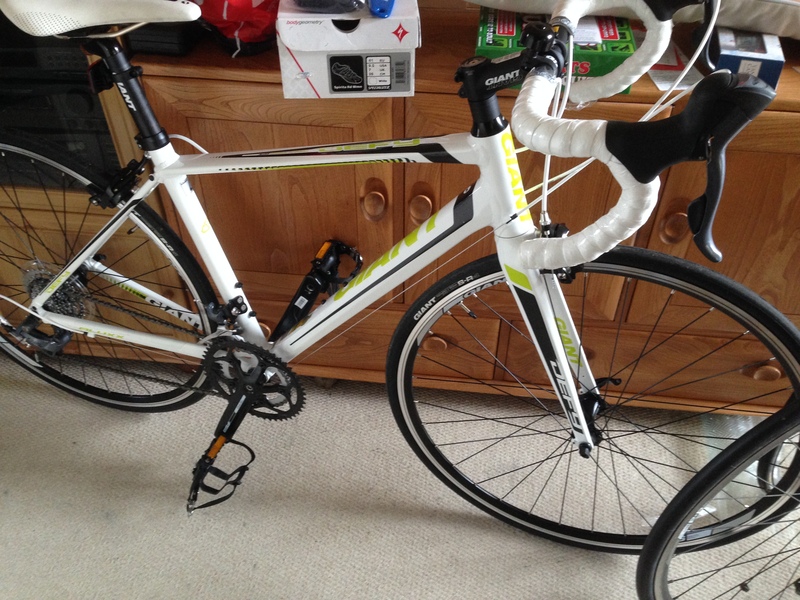 There are very few second-hand or new bikes around in my size within my price range. I went to Cycle World and was delighted to find that they had a Cannondale CAAD8 available in what I thought was my size (54cm) and even better it was reduced from £700 to £300. Unfortunately, I took it out for a test ride and although it was lovely, it just wasn’t the right size for me. However, the shop also had a Giant Defy 4 in a small which turned out to be the right size for me, and it was reduced to under £400 so I bought it. It feels comfortable to ride and the brand is reliable – Stuart has a top of the range Giant Defy from the previous season. The sales staff in the shop pointed out that the bike matches my shoes, which is true, but that wasn’t why I bought it (and I’ve got a new pair of cycling shoes, rather than tri specific shoes that I’ll be wearing on it). 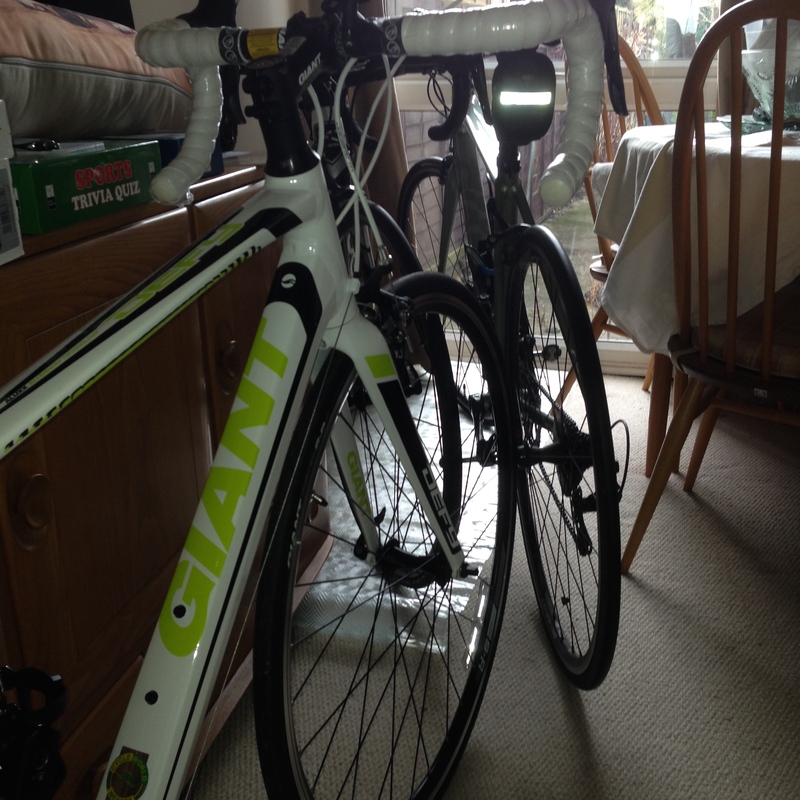 Unfortunately, the purchase of a new bike means that my dining room is now looking more like a garage. We do have a shed, but it’s filled with the usual stuff people have in sheds (plant pots, BBQ, paint etc) as well as my work bike, Stu’s old bike and my dad’s old bike. 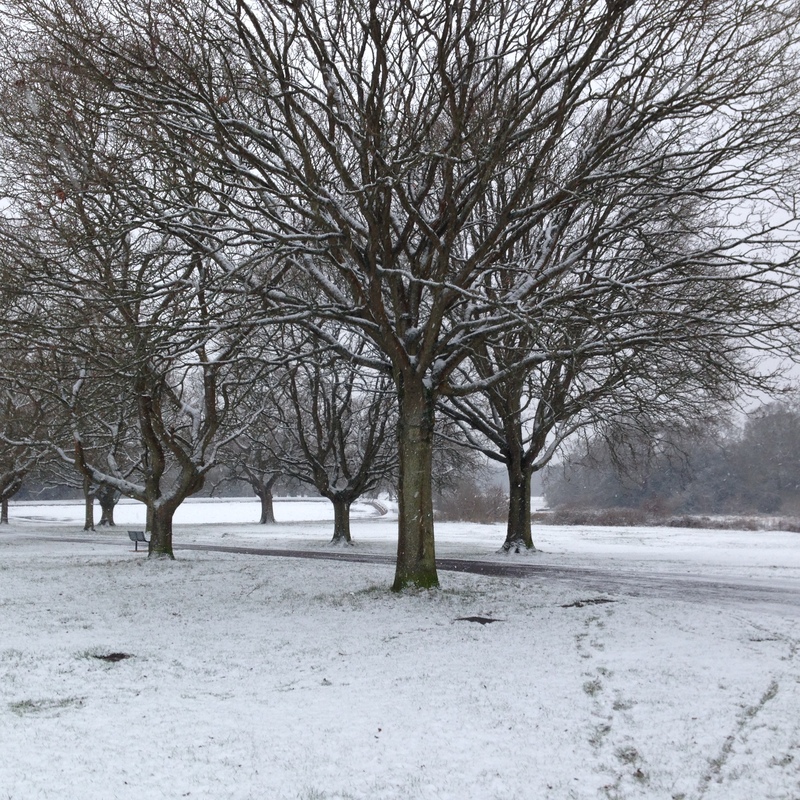 As soon as the weather gets better, we’ll need to have a clear out. 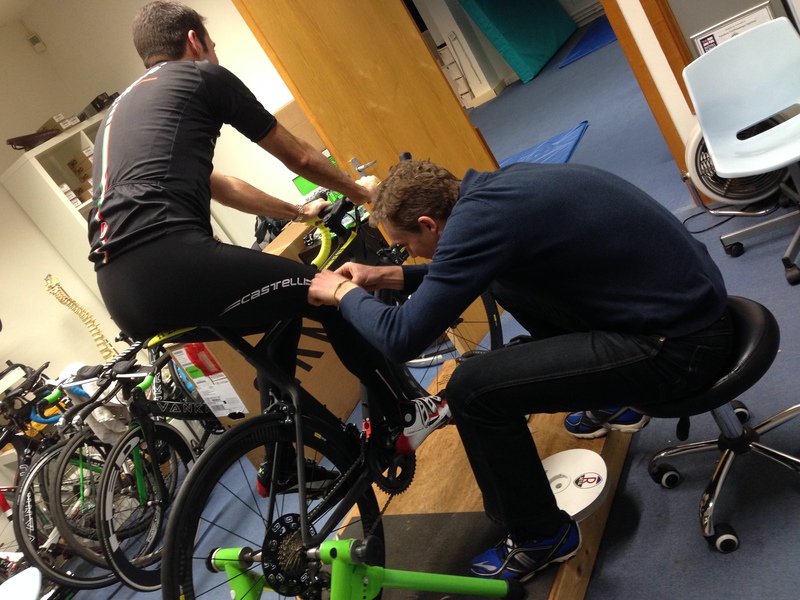 After purchasing the new bike, I went for a bike fit with Garth Kruger at Vankru bike fitting. Garth made various adjustments to the bike (including raising the seat significantly). He also turned the stem over to make the position of the handlebars more comfortable. The handlebars are quite wide (and also deep), so I may be better off getting new handlebars, but I think I need to try going on a long ride before I make a decision. Sadly, we realised at the end of the bike fit that the front wheel was buckled, so I had to take it back to the shop to be trued last weekend. I’d love to be able to tell you how the new bike is going, but I’ve not had a chance to ride it. It’ll be interesting to see how it compares with my Kuota Kharma. 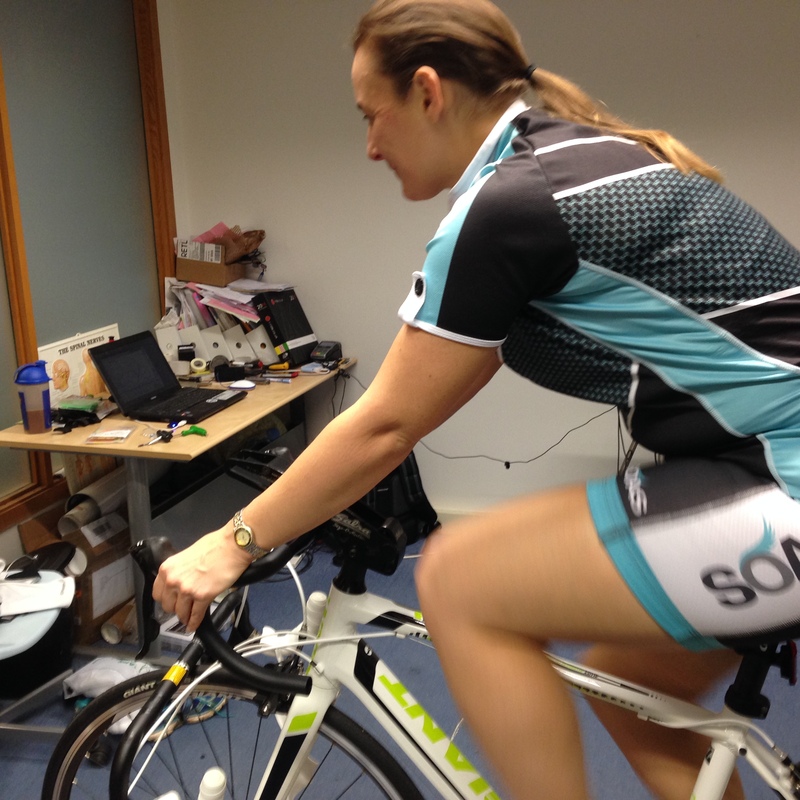 I have been attending weekly spinning classes with SUTRI, which I hope will help to get me fit for Japan and I need to start going on the turbo trainer at home. My friend, Teri, has said that she’d like to join me for a turbo trainer session, which should be fun as it’ll be easier to chat than when we’re out on the road! 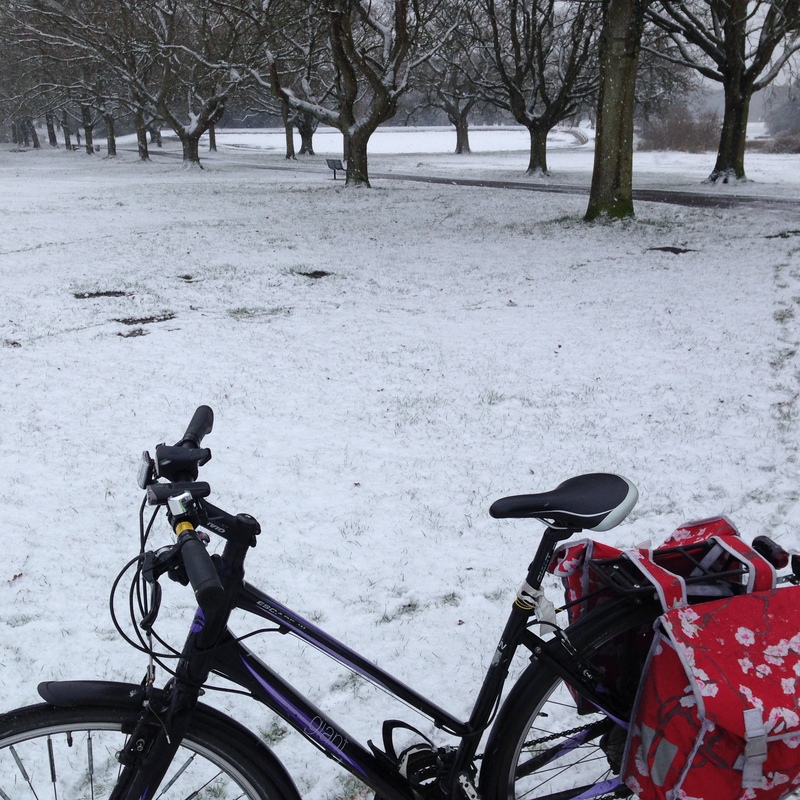 I also cycle to work every day, although it’s been a bit icy recently, and we even had a dusting of snow. Stu liked the look of a Canyon road bike and having heard nothing but positive reviews of them from our friend Jules, he decided to order one. Sadly, there were some delays before Stu’s bike arrived (including the wrong bike being delivered), but on Friday last week we were able to go to Vankru where Garth built and fitted Stu’s bike. The bike was carefully packed and there were some lovely touches such as motivational messages on the box it was packed in. It didn’t take Garth long to build the bike. He was impressed with some of the attention to detail, such as the information on the handlebars to help adjust the angle and line them up… however, he had to make some minor adjustments to ensure that it was level. 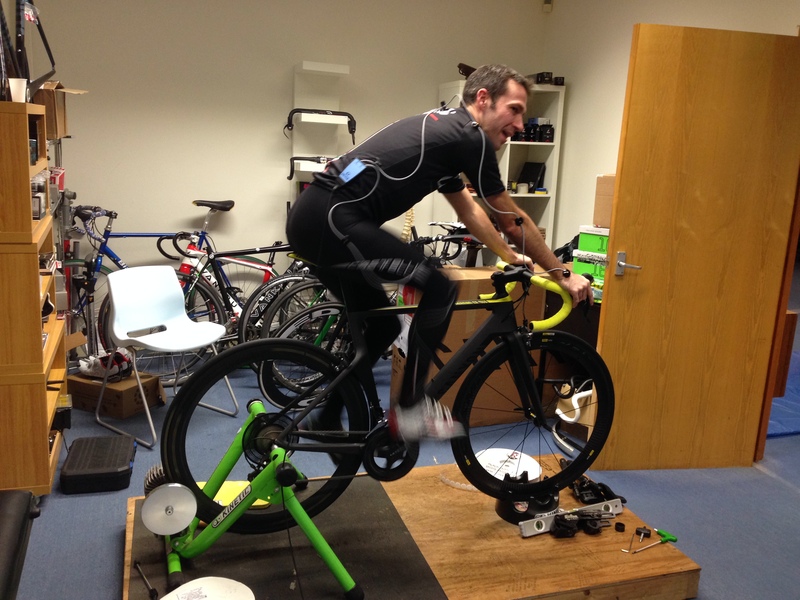 Once the bike was set up, it was time for the Retul fit to start. This involved sticking little velcro dots on Stu, so that he could be wired up. However, it’s not a purely computerised process, it takes skill on Garth’s part… in a way it’s like walking into a traditional lingerie shop where the elderly ladies can size up a bra with a look or a gentleman’s outfitters where the sales assistants don’t need a tape measure to decide on an inside leg measurement. The precision involved is unbelievable – Garth pays close attention to mm measurements. 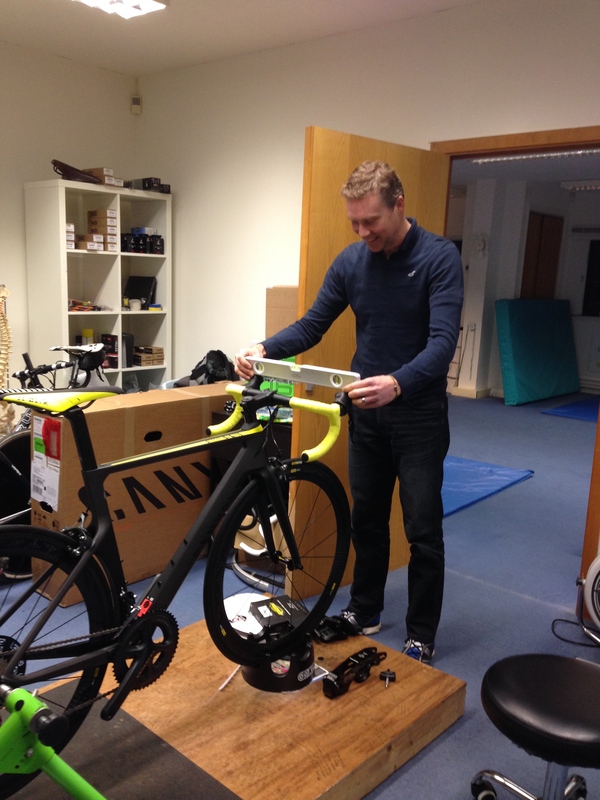 Several people have asked me about having a bike fit – what it entails, how much it costs, what the benefits are etc. If you do have any questions about bike fitting, I’d recommend that you tweet Garth @Vankru_cycling For me, I would say that it’s hard to put a price on comfort and that although many bike shops will say that they have ‘fitted’ a bike, what they mean is that they have put the saddle at roughly the right height. (That’s not true of all bike shops, but there aren’t many who employ a full-time, experienced fitter). Garth is used to working with all manner of cyclists from complete novices to pros; mountain bikers to time triallists. Some women fear cycling as there are plenty of opportunities for people to baffle them with technical talk. A fitting with Garth is not like that – he asks questions in plain English and will clarifying anything that you’re not sure of… however, if you’re a veteran cyclist, he’ll be happy to discuss your experiences. 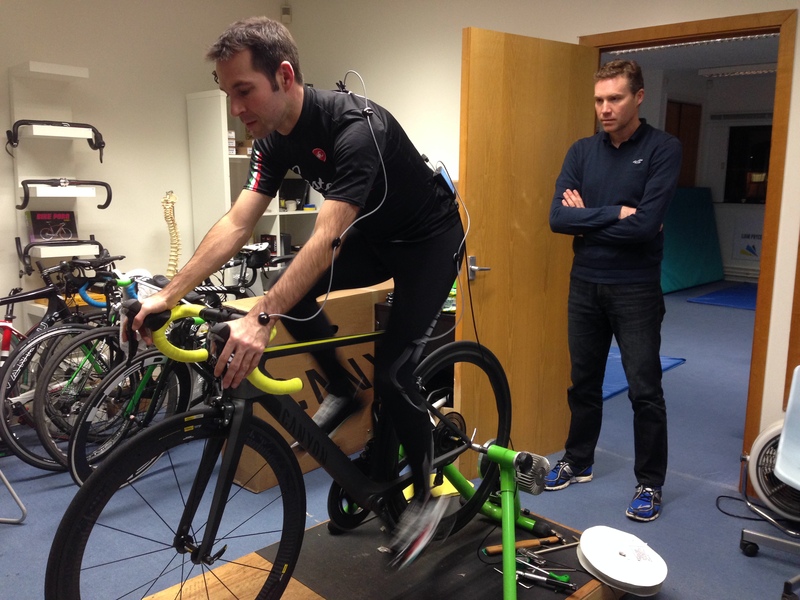 That’s one of the things that I love most about going to Garth for a bike fit – he’s passionate about cycling and his job and can always share some interesting thoughts about the sport. 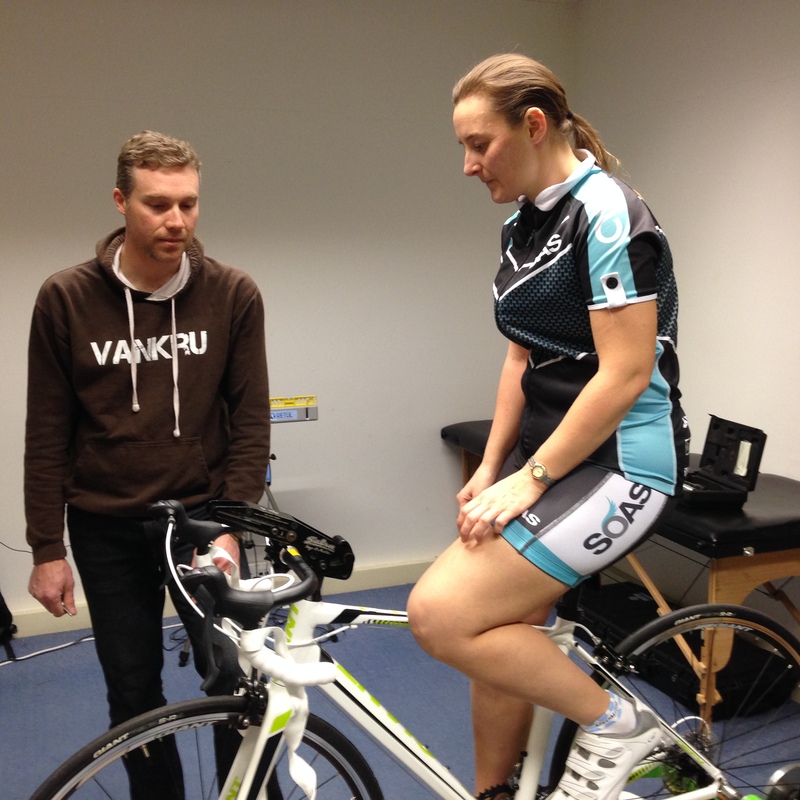 Although Vankru is based in Southampton, Garth also travels for bike fits, so do contact Vankru if you want to find out more. 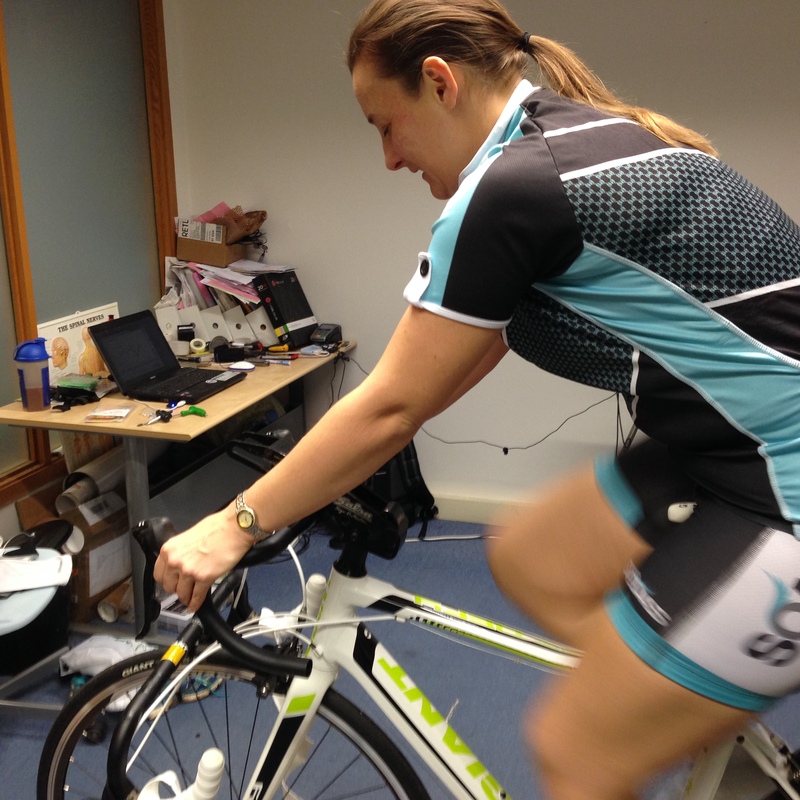 Have you had a bike fit? What kind was it and could you feel a difference afterwards? So does this now mean you have 4 bikes??? Who needs a dining room table anyway? Well, sort of. 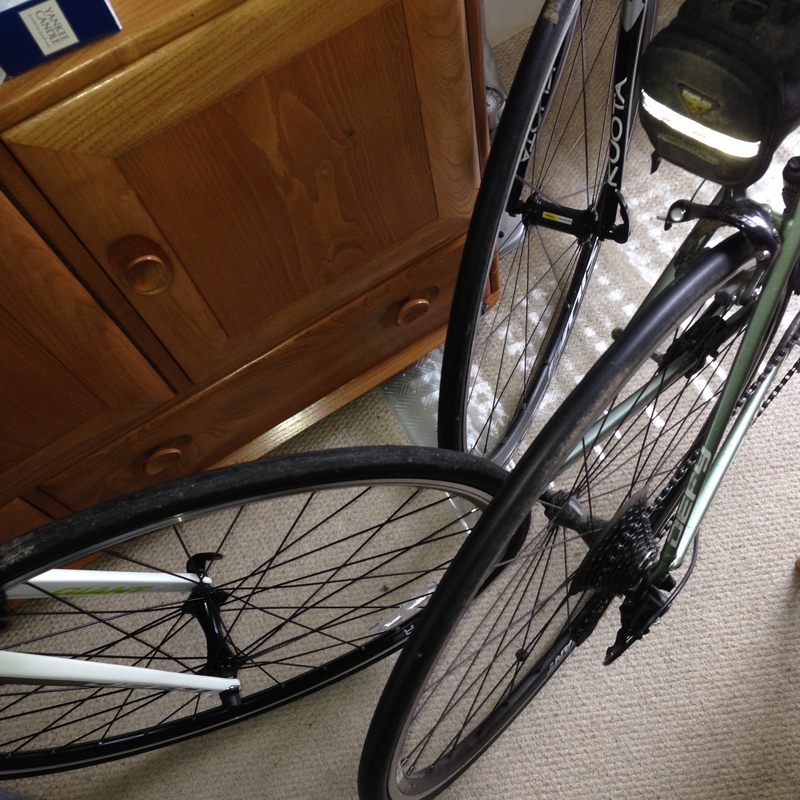 I have my work hybrid, my carbon road bike and my new aluminium road bike. I also have dad’s old road bike, but it’s not a functioning bike at the moment. 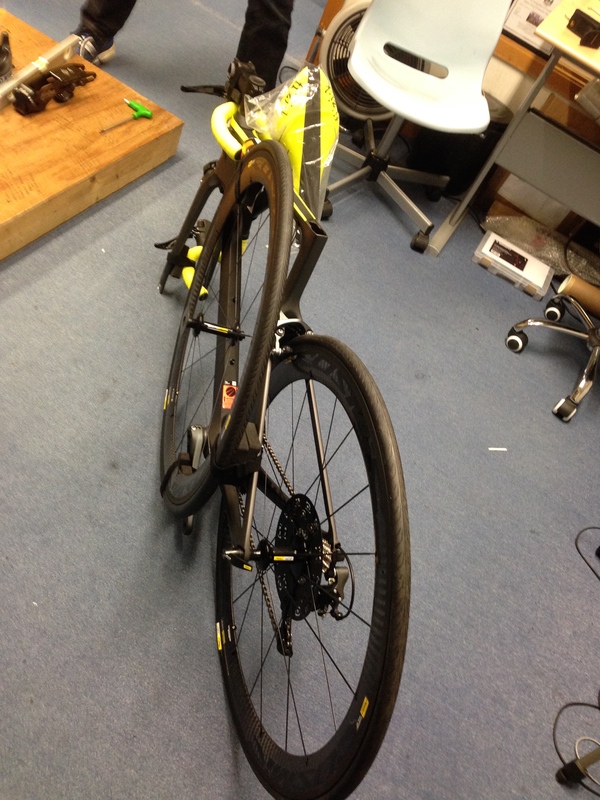 Stu has a hybrid, his aluminium road bike and his new carbon road bike and he doesn’t even cycle to work every day!